This new release is a big leap forward in Optenni Lab's history, and it expands Optenni Lab application domains in many fronts. Optenni Lab 4.0 is shaped according to customer feedback, user requests and our future vision. We are proud to highlight here some of the most important new developments now available. To better support high frequency and high power matching applications, we now provide a microstrip synthesis capability in Optenni Lab. Optenni Lab can synthesize both stub matching and stepped impedance matching sections, with automatically inserted discontinuity, T-junction and via models. Circuit export to several 3rd party design platforms streamlines the overall design flow. To help choosing a good topology, a layout view of the microstrip circuit is provided. The often-requested synthesis block or "black box" is now here! The user simply adds the block anywhere in the matching circuit and chooses the number of components used in the block. Our algorithms then replace the block with several optimized topologies using the given number of components. An example of a common application is topology optimization of the matching circuits around impedance tuners. Also, optimization of matching circuit segments in the middle of the RF chain is easy as synthesis blocks can be inserted between filters, switches and other components. A special case of the synthesis block is the generic reactance, "L or C", which can be used e.g. in switch branches in tuner design, or to represent a fixed topology shape (e.g. PI or T) but with unknown combination of inductors and capacitors. Also an often-requested feature is the calculation of currents, voltages and component losses in the circuit for a given input power. If component libraries are used, Optenni Lab also warns if the component rating is exceeded. Thanks to significant efforts in the core of Optenni Lab algorithm development, the multiport calculation is much faster in Optenni Lab 4.0. The speed improvement applies to all multiport models, whether they represent a multi-antenna system, a PCB layout or a multiport switch. This key feature helps finding matching circuits that deliver good performance in several different impedance environments. A typical scenario is a handset antenna that is characterized in free space, with a hand phantom and with a head phantom. 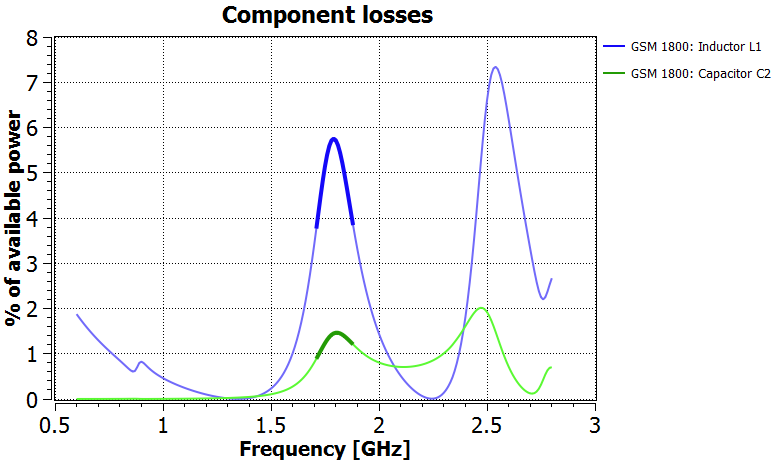 Combined with real-time VNA link, impedance data can be collected very quickly, and resulting matching circuits be tested under real test conditions. As an entirely new functionality in Optenni Lab, impedance targets are helpful in optimizing matching circuits for multiharmonic termination of power amplifiers. Together with the impedance targets, one can use microstrips, or combine microstrip synthesis blocks and discrete components to create hybrid topologies. 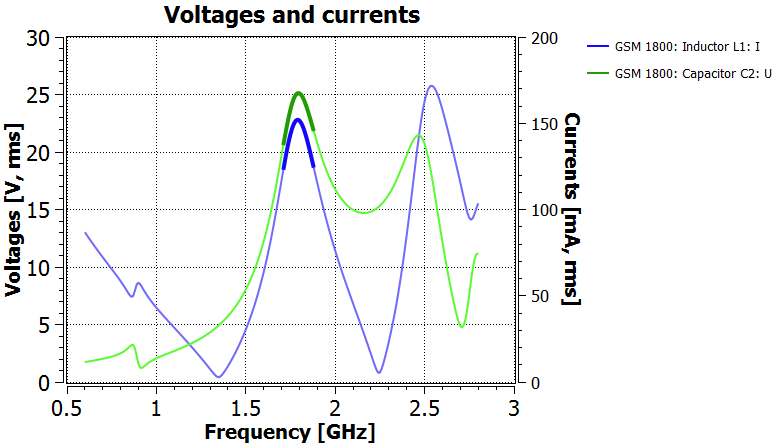 Impedance targets are also useful in matching LNAs, especially in tricky carrier aggregation applications. The user can now choose the relative weight between the minimum and average efficiencies for the optimizer. Giving some weight to the average efficiency helps picking "low hanging fruits", i.e. identifying cases where significant performance improvement for some of the bands is achieved without sacrificing the worst-case performance. The user plot curve color, line type, thickness and curve order can now be freely configured. In addition to the mentioned features and new functionalities, there are numerous smaller items and GUI improvements included in Optenni Lab 4.0. We have prepared a fresh set of tutorials demonstrating version 4.0 capabilities through application examples. Welcome to check the new version out! Along with Optenni Lab 4.0, we are introducing new terminology for the product categories. In short, the earlier single-port version will be called Standard Edition, and the multiport version will be called Professional Edition. For Standard Edition, support for multiple impedance data, microstrip synthesis and impedance targets are included. Also, the new optimization goal settings, user plot edit and the many GUI improvements are included in the Standard Edition. The Professional Edition includes the rest: synthesis block and generic reactance, current, voltage and component loss calculation, multiport switch support and of course all the classical multiport functionalities.